As a services company, you depend on satisfied clients. You need to deliver the service on-time and on-budget while avoiding surprises (like unexpected additional charges). Equip your team with the best tools available with Acumatica’s comprehensive and integrated management applications, including workflow, document management, mobile access, and role-specific dashboards. Project delivery and accounting functionality delivers automated and flexible support for business processes that help make each member of the service team more productive. 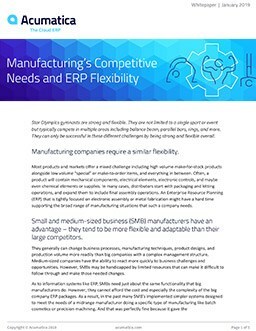 Because Acumatica’s cloud-based ERP for the Services Industry is a comprehensive and completely integrated system, your service personnel have access to accurate history and costs for past and current projects available for quality control and project reviews, resulting in greater customer satisfaction and more profitable bidding. The Dispatch Calendar Boards help you get the right people to the right service or job every time. Respond quickly to an inbound request by accessing customer and site history, and resource information to shorten the time between call receipt and job assignment. Acumatica Service Management provides powerful tools for optimizing routes to minimize travel using Google Maps travel times. The dispatcher can select optimal routes, re-arrange the order of the appointments, and Google Maps will re-plot and re-calculate time and mileage. The route display is available on any mobile device. Convenient entry options are the key to time and expense management success. Employees, partners, and contractors can enter timesheets and expense reports from anywhere, anytime, using any device with a browser. Reported expenses, including materials, labor, services, and inventory, are consolidated into a complete view of project-related costs. Shared costs and overhead expenses can be allocated to projects based on formulas that you establish. Project Accounting manages budgeting, billing, and profitability for projects involving multiple employees, resources, tasks, and materials. Project Accounting is integrated with the general ledger, accounts payable, accounts receivable, sales orders, purchase orders, inventory management, and the employee portal. Project managers, employees, machines, and other resources can be assigned to projects and tasks. Billing rules and options can also be assigned for each task. Real-time reports compare actual costs with original and revised budgets. Create projects from master templates to create new projects with pre-set configurations. Specify employees or equipment, budgets, and project billing. Project Accounting helps you manage all billing scenarios, including cost plus, fixed price, time and materials, milestone billing, and contract-specific pricing. Modify billing rates by project, project tasks, inventory item, employee, or account group. Configure multiple, distinct rate tables for specific projects or project tasks for additional billing flexibility. Billing also links to customer contracts through Service and Support Automation, so service agents can quickly determine the level of service to provide. Service plans are linked to support cases to ensure that paid support is properly billed. Service rates can be contracted per incident, per hour, or be prepaid. The case management features in Acumatica speed the time to resolution, improve the accuracy of the invoicing, reduce internal cost and confusion, and positively impact customer satisfaction. Establish case severities, escalation paths and priorities to define the workflow and alert the responsible parties. Support cases can be entered directly or by the customer through the online portal. 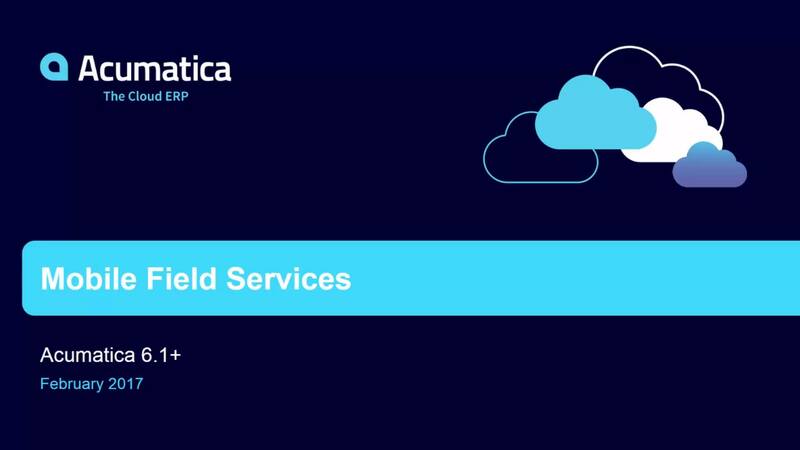 Learn more about how Acumatica Field Service Management provides three key pieces of information to help field service businesses optimize their customer service performance and focus on putting the customer first.